Pictured, from left, are Toheeb Okenla, IT senior with the College of Business and computer science minor, South Holland, Ill., and Jesus Fernandez-Ortiz, junior computer science student with the College of Engineering, South Holland, Ill.
What are the next career steps for Illinois undergraduates? Adina Sayef, senior graphic design student in the College of Fine and Applied Arts, Naperville, Ill. Launched in 2014, Illini Success gathers career-related information about graduates and their stories of where they are headed next. According to Illini Success, about 70 percent of graduates from August and December 2014 and May 2015 who secured a first destination – employed, including military service, enrolled in a continuing education program or serving in a volunteer organization – found employment. For more statistics and success stories, visit illinisuccess.illinois.edu. What opportunities exist at Illinois? Adina Sayef likes to make things easier for people to understand. 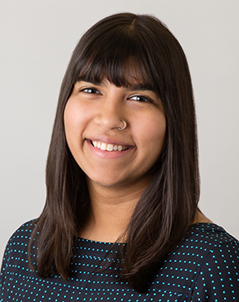 As an intern for the marketing office at the Illini Union – a Green Street hub for study spots, a quick catnap before class, conferences, comedians and author appearances, as well as outdoor movies on the Quad – Sayef creates web graphics and advertisements for Union events. 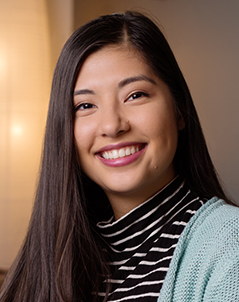 Her internship has provided real-world experience in how to manage client requests, she said, and her advice is to take advantage of unexpected campus opportunities for graphic design. She’s designed a logo for a registered student organization, created art for the ACM GameBuilders club (the one about a marshmallow defending itself in the forest against hungry woodland creatures is a favorite) and joined the design team for the annual student-run hackathon Hack Illinois. Renee Keyvan knew she wasn’t going to help eliminate violence against women – in particular, violence against women from the Middle East – solely from inside the walls of a classroom. So she sought experiences – from studying abroad in Turkey for six months to working as a family mediator – that could prepare her for a possible career at a nongovernmental organization after graduation. Renee Keyvan, a December 2016 global studies graduate from the College of Liberal Arts and Sciences with a minor in studies of the Islamic world, Oswego, Ill.
A global studies major and December 2016 graduate, Keyvan went through 40 hours of training at Champaign’s Prairieland Conflict Mediation Center and managed social media/youth engagement for the Strong Heart Group, an organization dedicated to ending child bride arrangements. How can you get involved in entrepreneurship? The business they began in high school and developed throughout their time at Illinois, solves a problem for soccer athletes — the lack of stability of the shin guard within the sock. 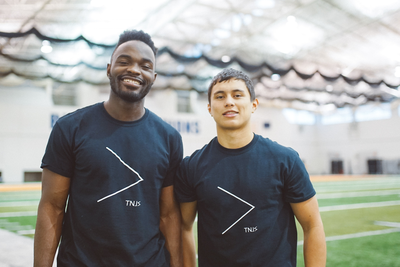 Fernandez-Ortiz and Toheeb Okenla co-founded TNJS, a manufacturing company that produces soccer socks that both support and protect athletes’ shins. They’re also the software engineers, the marketing directors and sales department for TNJS, which they plan to keep growing even after Okenla graduates this May. Fernandez-Ortiz recently represented the company at the 2017 Ernst & Young Strategic Growth Forum, a gathering of some of the best and brightest entrepreneurs in the country, where he had the opportunity to pitch their business and make networking connections. “For me, the biggest thing I’ve gained from campus is a network of people who believe in and support us,” Okenla said. “I feel like that’s cliché, but that really is what stops a lot of students.” As of December 2016, Okenla and Fernandez-Ortiz said they were more than a third of the way completed with their first shipment of 1,000 pairs of socks. Toheeb Okenla, IT senior with the College of Business and computer science minor, South Holland, Ill.
Jesus Fernandez-Ortiz, junior computer science student with the College of Engineering, South Holland, Ill.
How do you think experiences through Illinois will help in your future career? 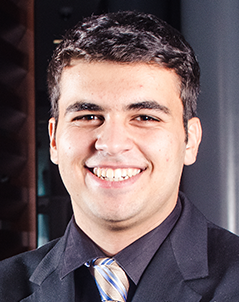 When he graduates in May, Mosab Elagha will have completed an internship at Apple and developed a successful iOS app for the Champaign-Urbana Mass Transit District. Engineering was never the difficult part of an internship, he said – it’s learning to navigate people and culture of companies like Apple and through student leadership, like in his role as co-director of the student-led PULSE conference. 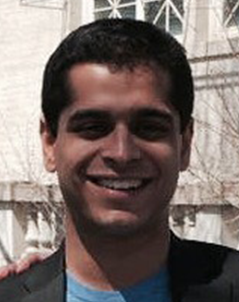 Mosab Elagha, senior ECE student in the College of Engineering, Oakbrook Terrace, Ill. Without the Illinois Business Consulting group, Malik and Buckner might not have ever met. An engineering alumnus, Malik wouldn’t have become a full-time consultant, and the two never would have launched their new business, TeaSquares, which produces tea-infused energy snacks now sold in select Chicago-area Whole Foods stores. Both Buckner and Malik said they spent their time at Illinois exploring different types of entrepreneurship. 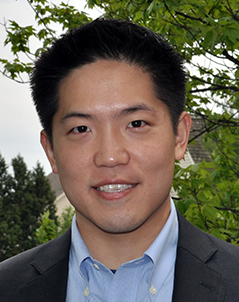 A College of Business alumnus, Buckner started a group called ENTREcorps, designed to match businesses started by alumni with students interested in working in those environments. 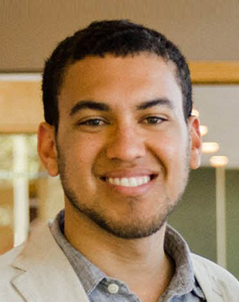 Malik said he knew he wanted to pursue entrepreneurship after participating in the International Genetically Engineered Machines group his junior year, pitching a genetic engineering go-to-market concept and building a business around it. They have two goals for their business: to create healthy snacks and to support the Englewood neighborhood in Chicago, where TeaSquares manufactures its product and hopes to grow its local hiring soon.